By far the book’s most impressive achievement is its careful reconstruction of the subversion and takeover of parties and party organisations at the regional level by ‘godfathers’ (kmotři). Far from providing an impetus for political and economic development, EU-mandated regionalisation and the coming on stream of structural funds, managed by regional agencies and spent by regional authorities, triggered the takeover of party organisations by corrupt vested interests. Their usual modus operandi was the recruitment of fake or paid for party members (in Czech political parlance so-called ‘dead souls’) which allowed the capture of first local and then regional party organisations and often opened up the way to national influence. But the ‘provincial godfathers’ who brokered or bankrolled corrupt deals – typically owners of regional building, transport or security firms – were small fry compared to bigger national players who had made fortunes in the privatisations of the 1990s and their aftermath exploited the opportunities offered by state-owned companies such as the electricity giant ČEZ. 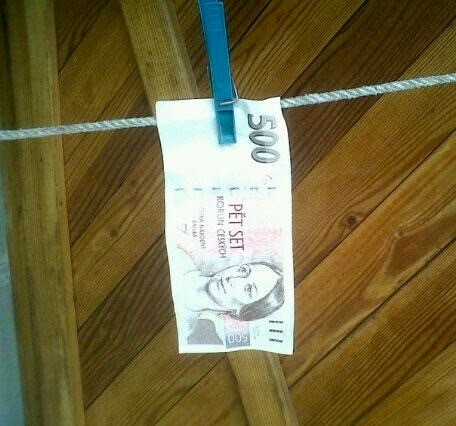 These bigger economic and political operators exercised influence on parties and politicians more directly at national level through the corrupt ‘lobbying’ (lobbování) – the Czech word carries powerful overtones of sleaze – of politicians. This completed the second arm of a pincer movement on parties, hollowing them out and taking over from above as well as below. The upshot Klíma concludes is that the Czech Republic’s much vaunted ‘standard’ model of party politics was – or quickly degenerated into – a Potemkin village where parties failed to fulfil their basic function of representing voters and formulating some vision of the public interest. They became instead tools of corrupt business groups. Indeed, he suggests, this process went so far that these corrupted pesudo-parties were in reality a form of ‘anti-system’ parties, as threatening to liberal democracy in their own way as the ideologically extremist parties for whom this label is usually reserved. This was particularly the case given the ability of informal networks to use their control of parties and politicians to disable or capture enforcement and monitoring institutions, such as the police, prosecutors and judiciary. In sum, Klíma concludes Czechia ended up with a ‘clientelistic democracy’ where ‘although at first glance [there was] a democratically elected representative government, in reality the country was managed by an opaque grey zone of shady business and politics’. So fatally has the influence of corrupt business groups damaged the role of law and negated democratic choice, he argues, that the country qualifies as what German political scientist Wolfgang Merkel termed a ‘defective democracy’, and more specifically, as a form of ‘illiberal democracy’. The most interesting question posed by Klíma, however, is about will happen, rather than what has happened: whether such a hollow, captured and corrupt party-political mainstream is preparing the way for some form of full-blooded illiberalism and authoritarianism. There are some signs that it might. Few observers could have missed the brutal power-seeking logic of Czechia’s first directly elected president, Miloš Zeman, when he attempted to bend the constitution by imposing a technocrat government over the heads of the country’s political parties in 2013. 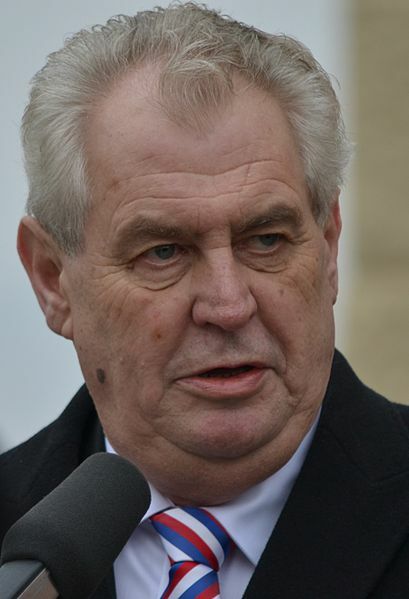 Zeman’s plans were thwarted when parties managed to unite sufficiently to call early elections. But a more sure footed or luckier politician than Zeman might have got away with an extended period of de facto presidential government. The billionaire populist (and current Finance minister) Andrej Babiš , whose ANO movement came from nowhere to become the country’s second biggest party in 2103, is another plausible-looking candidate to put Czechia on the road to democratic backsliding. He has electoral momentum and the unparalleled concentration of political, economic and media power in Mr Babiš’s hands makes the labyrinthine informal networks of the ‘regional godfathers’ seem feeble by comparison. Od totality k defektní demokraciii is a fascinating, thought-provoking and groundbreaking study, which would certainly merit publication in English. It is possibly the first full length academoc work on Czech party politics to foreground the question of how informal structures affect formal party politics, rather than relegating it to incidental remarks. The first is the question of where the money corruptly raked off in bribes, kickbacks and inflated rigged tenders goes. In many of the cases detailed it seems to go straight into the pockets of politicians and businessmen themselves, financing luxurious lifestyle, implausible personal fortunes and hard-to-explain property empires. Much less clear is if and how political parties take their cut – in other words, whether corruption feeds an electoral and political arms race driven by the politicians’ need to fight expensive election campaigns, or is simply about well-placed individuals and groups exploiting democratic politics for personal enrichment? Problematic too is that the book seemingly takes over the Czech journalistic notion of klientelismus as a loose umbrella term covering all manner of legal and illegal informal practices ranging from patronage and influence-peddling to forms of political corruption. In the political science literature however, ‘clientelism’ is more usually understood more narrowly as politicians trading favours and ‘selective benefits’ to groups or individuals in exchange for electoral or political support, sometimes (historically) via extensive many-layered patron-client networks reaching down from elite level to the grassroots. While the trading of blocs of votes in hollowed out party organisations Klíma describes probably would qualify as clientelistic, much of the klientelismus reported seems in fact to be straightforward corrupt exchanges between businessmen and politicians. 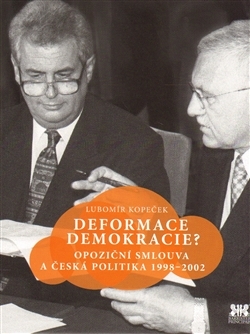 Moreover, as the book makes clear, most Czechs who cast votes do on the basis of broad general assessments of what parties will do – viewed in terms of personal self-interest or some notion of the wider public good – and not in the expectation that they, their families or communities will get a direct direct pay-off in recompense in the form of jobs, spending or political favours. This is an intriguing and plausible idea, but one that perhaps runs ahead of available evidence. It is hard to rule out that the volatility of Czechia’s 2010 and 2013 elections might simply be the prelude to a remaking of the party system along familiar lines with one time hard-to-place. anti-establishment outsiders quickly slotting in to familiar ideological roles – as has occurred in Poland and Slovakia. When and why did the Czech experiment with building ‘standard’ West European-style parties go wrong? Klíma offers four basic explanations: 1) the weakness and lack of autonomy of political institutions given the baleful legacy of communism; 2) the weakness of civil society and the middle class as potential checks on political power; 3) the poor quality and lack of ‘political culture’ of the political class and 4) the tendency of the two main parties, the Civic Democrats (ODS) and Social Democrats (ČSSD) to collude, rather than compete, especially following the 1998-2002 ‘Opposition Agreement’ pact they signed to allow a minority Social Democrat administration to take office, which ushered in an era of ODS-ČSSD Grand Coalitions at regional and city level. The first two points are textbook descriptions of post-communist politics and societies across Central and Eastern Europe. However, in the Czech context they pose the question of whether the country’s democratic traditions and the legacies of bureaucratic autonomy handed down from the pre-communist really counted that much. Was there in hindsight a certain inevitability about the implosion of seemingly consolidated parties of 1990s? Deficiency of elite ‘political culture’ is a concern frequently voiced by Czech writers. For outside obsververs it is a judgement that can seem pat and superficial. Anyone dipping into coverage of politics Australian or Irish style will find yobbery and unparliamentary language galore in these long established and successful democracies, which make the sedate and plodding Czech parliament look like a vicar’s tea party. But at a deeper level the usual Czech worries over ‘political culture’ tap into a concern – heightened by recent developments in Hungary and Poland – that, unpoliced and given the opportunity to do so, many inCentral and Eastern Europe’s political class will not only steal, but willingly sign up to a illiberal project if one comes along. In other words, that they are, to use the jargon, potentially ‘disloyal elites’. The final fourth point relating to the Opposition Agreement is different in being both Czech-specific and putting blame for democratic malaise less on a failure to overcome history and legacies of the communist past, than on the dynamics of later party competition and the bad calls made by politicians in 1990s. The ill-considered and cynical pact between the Civic Democrats and Social Democrats it is argued – although partly rooted in the difficulties of coalition building thrown up by the parliamentary presence of the ‘uncoalitionable’ Communist Party – shut down political competition between the two main parties, giving the green light to corrupt mutual self-enrichment and leading to a ‘parcelling out’ of state agencies and companies between them. This interpretation echoes both journalistic accounts of the period and academic research, which sees ‘state exploitation’ by Czech parties as stemming from a lack of ‘robust competition’ between them. However, it is not an uncontested view. Lubomír Kopeček’s meticulously researched book on the Opposition Agreement, for example, takes issue with the idea that it was a cartel-like ‘hidden grand coalition’ which tipped the country into a form of corrupt illiberal democracy. Far from cementing a mutually beneficial oligopoly, he claims, after the two parties’ joint project to introduce a majoritarian electoral system was torpedoed by the Czech Constitutional Court, they were often at each other’s throats. Moreover, Kopeček questions what he terms the ‘corruption myth’ which makes Opposition Agreement as the font of subsequent corrupt politics. While allowing that the Agreement saw a certain ‘economisation of politics’ (including the rise of ‘regional ‘godfathers’), in his view the pact merely exacerbated already well established trends. Opportunities for corruption were opened up, Kopeček suggests, not by inter-party collusion by ‘captured’ parties by the changes wrought by EU-mandated regionalisation (which took effect in 2000-2) and the coming on stream of EU structural funds (which would have occurred under any government). In this interpretation, it is the collison between party politics and Europeanisation, as well as parties’ inability to manage a shifting economic landscape, that left them vulnerable to corruption. In the final chapter Klíma sketches a broad agenda for reform designed to renew Czech democracy and rescue the unloved but necessary institution of the political party, reforms that might be introduced through a Czech ‘Constitutional Convention’. Formal institutions of state including the civil service, the judiciary and the police, he suggests, need to be strengthened and made more independent by introducing longer terms for those heading public bodies and executive agencies and reducing the control elected politicians can exercise over them. 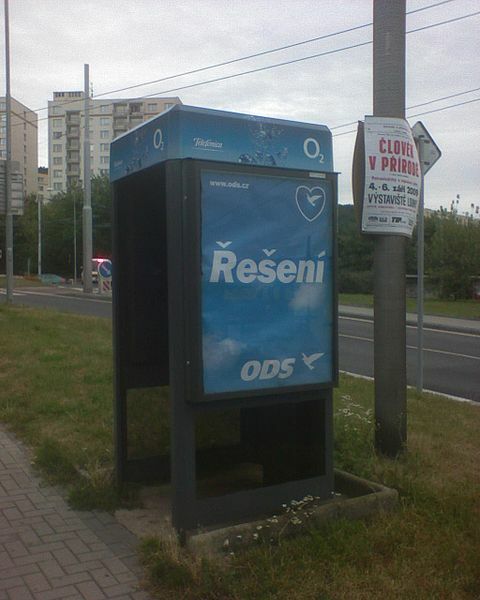 References to an allegedly oversized Czech public sector and a nod towards Fareed Zakaria’s argument that liberal constitutionalism take precedence over democratic majorities where the two are in conflict hints that party politicians’ power might be cut back through some form of radical marketisation of public service delivery. A Constitutional Convention in any literal sense would require a degree of inter-party consensus (or degree of social and political crisis) that seems unlikely to occur. However, Klíma’s appeal for a Czech Madisonian moment might best be taken more metaphorically as a call for concerted and co-ordinated reform. In either scenario, however, it is a little unclear what political or social forces might deliver the deep and far-reaching change envisaged. The burgeoning anticorruption parties that emerged in both 2010 and 2013 have, as Klíma ably shows, either been extremist or themselves the creatures of business interests. 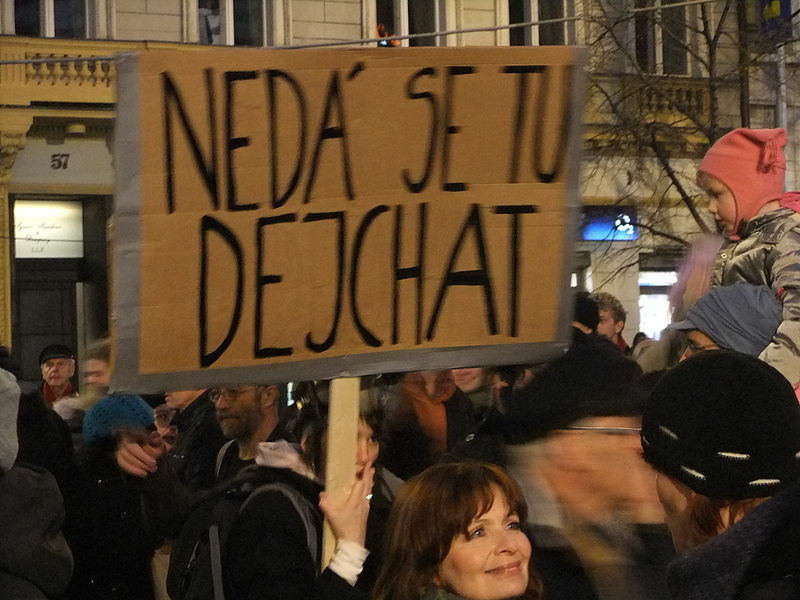 In an echo of Václav Havel, the book also suggests that civil society needs to be re-energised so it can hold parties and politicians to account – and that the impetus for anticorruption comes from the frustrated Czech middle classes – but it is hard to see quite what form such civic control might take – although the angry mass protests in Slovakia and Bulgaria in 2012 and 2013-4 are mentioned, as is the Ukrainian Maidan Revolution. Some of the proposed political reforms also seem shot through with potential unintended consequences. Any effort to roll back the frontiers of political corruption through market reform of the public sector, for example, would need to face up to the fact that poorly regulated free markets lie at the origin of many of the Czech Republic’s problems. Moreover, even if genuinely neutral technocratic experts and institutions can be put in place, this may raise furher questions about democratic governance and party government. As Peter Mair famously noted, increasing resort to expert decision-making and non-majoritarian institutions in Western European democracies has tended to further hollow out political parties rather than revitalising them. 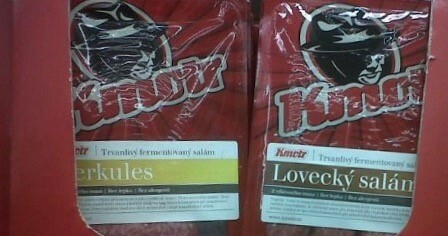 In some ways perhaps in the already hollow Czech context this might not matter. In the book’s conclusion Klíma argues (realistically in my view) that the era of large membership-based parties, even on the modest scale that Czech politicians conceived of in 1990s, has passed. Expressing scepticism about quick-fix reforms such as changes to the electoral system, Klíma suggests, that although parties will be a central part of the future Czech democratic architecture – they are mentioned in the Constitution – in future they will, like it or not, be organisationally small, elite creations far removed from the socially rooted, internally democratic membership organisations envisaged Czech party law. Proposed reforms to make parties more centralised and introduce waiting times and screening for new members – measures some Czech parties have already taken up – seem to these recognise realities and to push parties further in this direction, as do the suggestions that parties should be more open at elite level to allow the recruitment of wider range of candidates from non-political backgrounds (a practice already tried – or supposedly tried – by a range of Czech political groupings over the years). 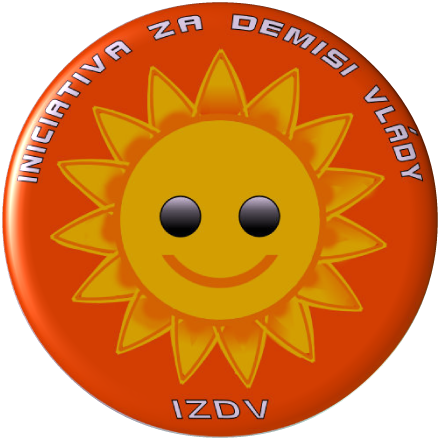 Although ending on a call to arms, the underlying tone of Od totality k defektní demokracii is one of pessimism. This is perhaps to be expected in a book which for the first time systematically probes the seamier, informal side of Czech party politics. But to an extent its diagnosis and its pessimism may be overstated – or rather misdated. Much of its analysis describes a party system which has now disintegrated, having largely melted down in the ‘earthquake elections’ of 2010 and 2013. 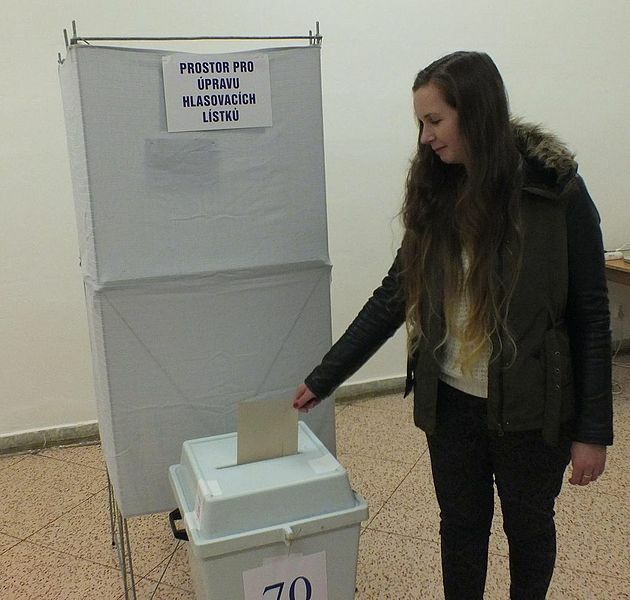 Czech voters came to a similar conclusions to those presented in the book about the corruption and clientelism of established parties. They then had little compunction – and little difficulty – in ‘throwing the rascals out’ and turning to the new parties. The groundswell of public and media demand for more effective investigation of corruption cases also seems to have led the Civic Democrat-led coalition of 2010-13 to free the hands of police and prosecutors, paving the way for their destruction amid police raids and scandal. ‘Clientelistic democracy’ is, moreover, not a contradiction in terms. Clientelism has historically often proven a rather effective way of organising parties and linking parties to voters , easily co-existing with elements of ‘normal’ ideological or class-based competition.. Even in the Czech context there is the uncomfortable, but quite conceivable possibility – characteristically voiced by Václav Klaus – that klientelismus might even have been functional, even necessary, for Czech party democracy, co-ordinating and bringing predictability and stability to mass of shell-like district organisations which made up the country’s two biggest parties. While eating away at the Czech party democracy in the long-term, the ‘regional godfathers’ may have propped it up in the short term. 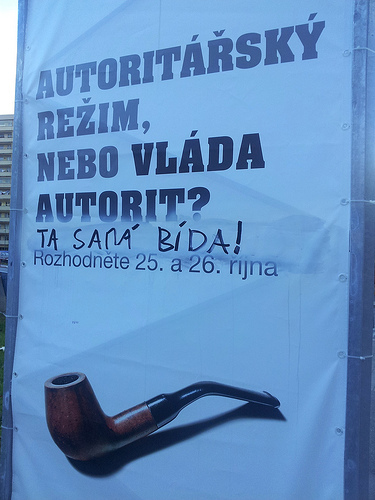 Overall, this suggests that Czechia’s democracy is more flawed than ‘defective’ (in Wolfgang Merkel’s sense of the term) – with its biggest and most underlying flaw being the weakness of its civil society as a mechanism of horizontal accountability – rather than the total subversion of democratic competition or the collapse of the rule of law. This is, of course, not to say that everything in the garden is rosy. If corrupt vested interests have privileged, covert access to political decision-makers and democratic choice appears a facade, representation and – correspondingly – the legitimacy of the democratic system cannot only be damaged in the eyes of citizens. Public goods from hospitals to motorways to armoured personnel carriers will also be more expensive and of poorer quality; and citizens will find themselves paying higher taxes if corrupt insiders can skew public policy outcomes to their own advantage. Corruption is not a good thing. Periodically dismantling corruptly captured political machines and reining in the influence of big money in politics might thus be as part of the ebb and flow of democratic development, rather than the first slip in a longer slide into illiberalism or authoritarianism. But, especially in post-communist Central Europe, even where there is ‘only’ corruption, rather than illiberal ruling parties seen in Hungary or Poland, there is nothing to guarantee that such a slide cannot happen. « East Central Europe: liberalism gone missing – or just never there?